Job Site Dedicated to SaaS Sales Positions. SaaS Sales is a job site dedicated to SaaS sales jobs. We're on a mission to connect the best sales talent with top SaaS companies. 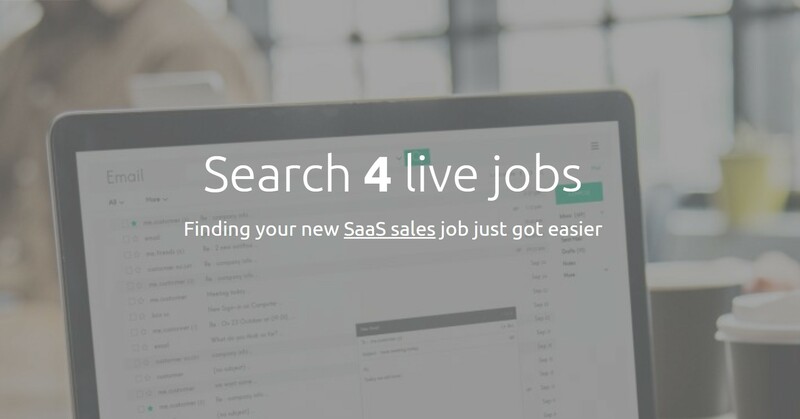 Our goal for the job seeker: Make it easy for sales professionals at any stage of tenure looking to enter or advance their career within the SaaS space. Our goal for employers: Make it easy for Tech companies to find the best sales talent on the market without all the noice of other recruitment channels.